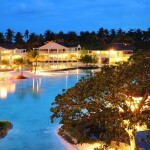 Best Beach Destinations In Cebu. South And North Of Cebu. Getting There: Take a bus bound for Maya in the North Bus Terminal. 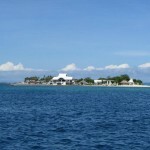 Then, ride a boat in Maya Port to reach the Malapascua island. White-sand seashore and crystal clear waters will welcome you here in Malapascua, an island that’s located in the northernmost tip of Cebu. Some of the exciting activities you can do in this famous tourist destination are swimming, scuba diving, snorkeling, skim boarding, and thresher shark watching. Getting There: Take a bus bound for Danao in the North Bus Terminal. From Danao, you can ride a boat that goes to Consuelo, San Francisco, Poro, or Kawit in Camotes. In the Camotes Sea, east of Cebu, you can find a group of white-sand islands called Camotes Islands, which offer a wide range of enticing beach resorts to visitors. One of the most famous resorts here is the Santiago Bay Resort that boasts of a wide, non-deep shore that is safe to swim in during low and high tides. For non-swimmers out there, this pool-like swimming paradise could be a perfect choice! Getting There: Take a bus or a v-hire bound for Hagnaya in the North Bus Terminal. When in Hagnaya, take a ferry that will bring you to the Sta. Fe wharf. From there, you can then ride a tricycle going to a specific resort in Bantayan. 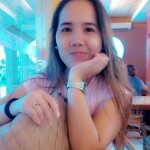 I experienced “love at first sight” when I first saw the beaches of Bantayan Island. It is the perfect epitome of white sands, perfectly blue-green waters, and paradise! 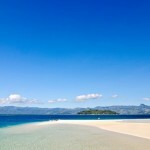 This destination is popular for Holy Week backpacking because it offers tourists a different kind of Lenten experience. 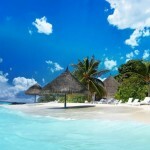 Go to the Sugar Beach to find sugar-fine sands and a calm, enticing seawater. Getting There: Take a bus from the South Bus Terminal; travel time will be around 2.5-4 hours. 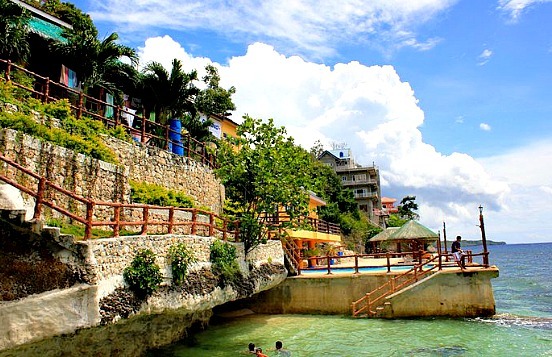 Tingko Beach is a famous resort in Alcoy, a 5th class municipality located in the southern part of Cebu. It has a long stretch of white sand that will surely fascinate you and invite you to take a swim. Getting There: Take a bus bound for Badian in the South Bus Terminal. You will then be dropped off to Lambug, Badian or the Badian Golf Course junction where you need to ride a tricycle to be able to reach Lambug beach. Lambug Beach is one of the must-go destinations in Badian, southwestern Cebu. 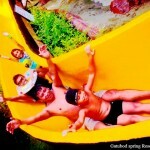 It is a public beach, so you need not pay for any entrance fee to experience its enticing waters. 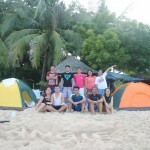 You need to pay 50 pesos (as of 2012) though if you want to camp out by the seashore. Getting There: Go to Citilink Terminal and take a v-hire going to Pinamungajan. Then, ride a habal-habal to reach the Hidden Beach in Aloguinsan; however, you may also take the Toledo route by riding a v-hire for Toledo from Citilink Terminal still and getting off at Toledo Proper or Market. From there, you can easily ride a jeepney going to Aloguinsan. If you’ve already been to this southwestern Cebu municipality, you might have heard or experienced the ever-famous Bojo River Cruise; but did you know that the place is also known for its awesome Hidden Beach? From the name itself, this beach destination is a secluded one, making it ideal for an uncrowded and relaxing summer vacation! Getting There: Take a bus bound for Barili in the South Bus Terminal. You will then be dropped off at Moalboal Public Market, where you can ride a tricycle to bring you to Bas Daku White Beach in Saavedra, Moalboal. Saavedra is one of the highly visited places in Moalboal, southwest of Cebu, because of its beautiful resort called Bas Daku White Beach. About a kilometer of white, perfect sands will welcome you here! The place is also great for snorkeling and island hopping. Getting There: Take a bus bound for Oslob or Carcar. Ask the driver or conductor to drop you off at Dalaguete, and then ride a habal-habal or tricycle to the specific resort you wish to go to. They say this is a great destination for skim boarding because it has huge waves, particularly in the Dalaguete Beach Park that is located within the boundary of Argao and Dalaguete in the southern part of Cebu. Getting There: Take a bus or v-hire in the North Bus Terminal. When you reach Daanbantayan, hire a boat to take you to Carnasa Island. 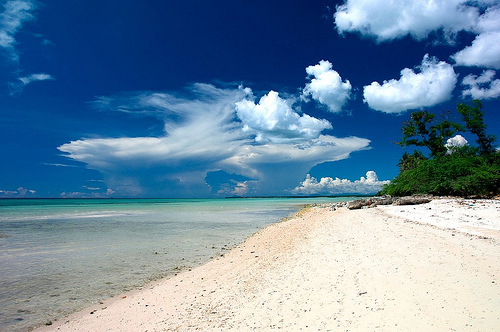 On the northernmost tip of Cebu, you will find a white-sand paradise by the name of Daanbantayan. Don’t be confused between Daanbantayan and Bantayan Island since the former is still part of the mainland Cebu, while the latter is 30 minutes away via ferry from northern Cebu. One of the most awesome attractions in Daanbantayan is the Carnasa Island, which is best for swimming, snorkeling, camping, kite surfing, and island hopping. Getting There: Take a bus in South Bus Terminal and ask the driver or conductor to drop you off at Barangay Tan-awan where the whale shark watching experience takes place. This southern Cebu municipality is famous both for its beautiful beaches and rich underwater creatures, especially the ever-famous whale shark or butanding! Thanks to these huge, harmless sea animals, tourism in Oslob has experienced a significant boost for the past years. Go ahead and check out the wonders of this well-known destination yourself. As tempting as it might be to go and watch the whale sharks in Oslob, you might want to do some research first. The feeding of the sharks has changed their migratory and nutritional habits in ways we don’t fully understand. Here’s a link for more information.